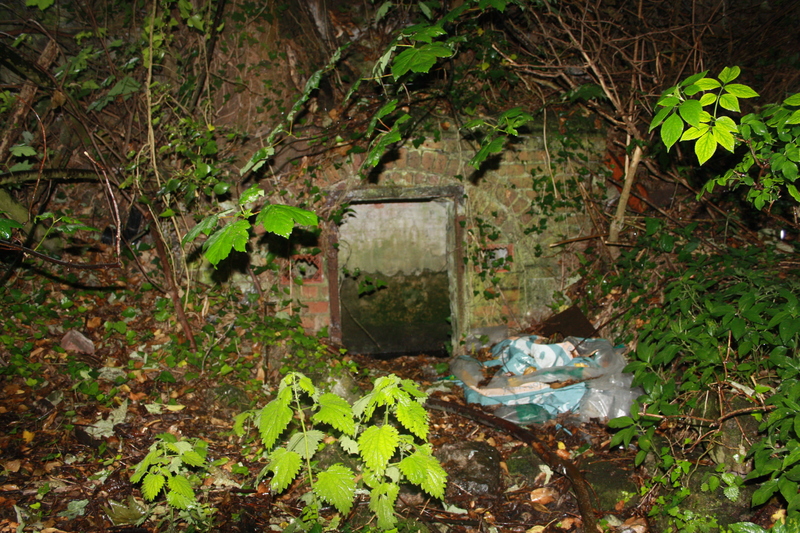 St Oswald’s Well (Ffynnon Oswallt) at Whitford, Flintshire is now hidden behind a brick construction. 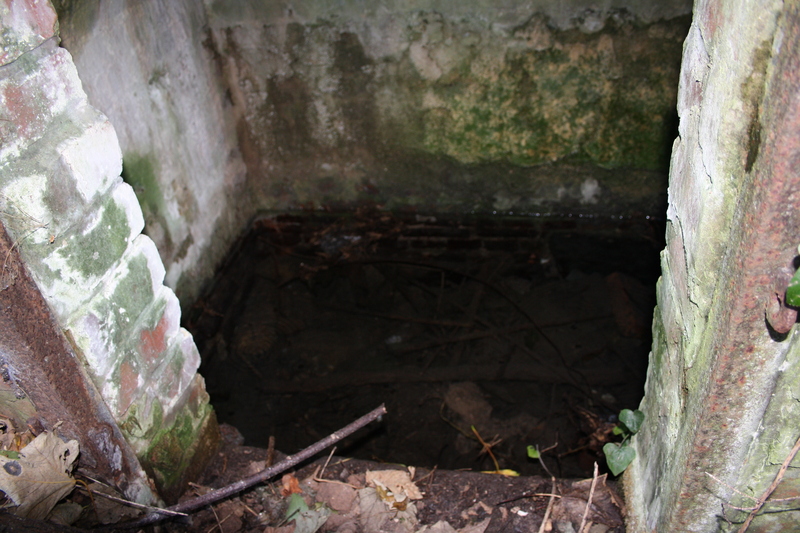 The well is in the side of a bank adjacent to Mertyn Cottage. We first visited the well early in 2011 and found it in a small clump of trees, so the area was particularly dark and difficult to explore. 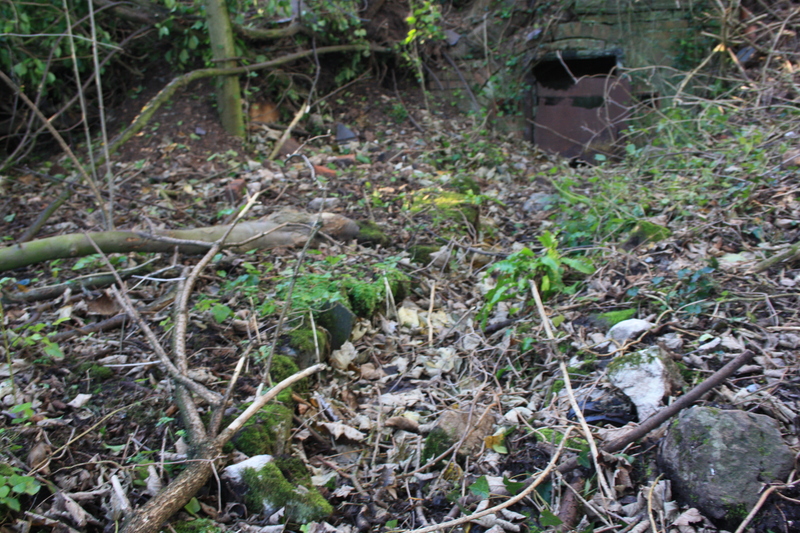 The area outside the well was damp, boggy and overgrown. However, on returning in December 2011 it appeared that the trees had been removed, and much of the boggy area filled in with earth. Whether the well is undergoing some form of landscaping remains to be seen. 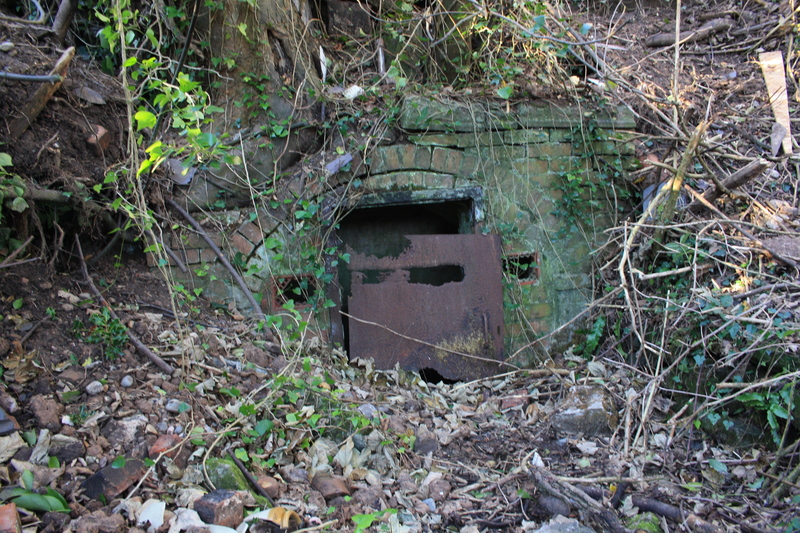 Inside the brickwork there appears to be a tank with a stone wall behind, bricked at a higher level. The photograph shows water inside the chamber, although we did not determine the depth. A channel edged with stone emerges from the well, which is wet and boggy. It is not clear why there is an association with St Oswald at this location. Oswald was a king of Northumbria who lived from around AD605 to AD642. His reputation as a saint relates to his role in the re-introduction of Christianity to Northumbria. He was active in expanding and uniting the small kingdoms across northern England and southern Scotland through both warfare and political unions, however forces further south opposed him. King Penda of Mercia led a unified Mercian and Welsh assault against him, which resulted in Oswald’s death at the Battle of Maserfield on 5th August 642. The site is believed to be close to Oswestry, named after Oswald. The church at nearby Whitford is dedicated to Saints Beuno and Mary. There are other wells bearing his name at Oswestry, Winwick (Cheshire), Kirkoswald (Cumbria), Great Ayton (N Yorks) and Durham. To find the well from Carmel turn right into Mertyn Lane then right again into Isglyn Road. The well is just off the road on a public footpath immediately after Mertyn Cottage. The following picture is from earlier in 2011, showing the well much more overgrown than it appears today. While visting St Oswald’s Well we also walked into the field beyond the well. In this field, enclosed by a hedge was an interesting stone lined bath. It seemed to be lined on three sides with 3 to 4 course of stone, about two feet deep, Trees and shrubs were growing from the base, so it was difficult to assess the structure, which was probably around 6 feet wide and 10 feet long. It doesn’t appear to be listed in any description of the area so itmay have had some farm use in the past.